The Snowspeeders landed at dusk on Hoth. Four UL conscripts, arriving from warm, sun-spoiled Tatooine to train in their fight against the heavyweight backpackers, embarked from the Snowspeeders, on their backs light packs, filled with the finest equipment to survive in the demading environment of Hoth. While the hanger crew took care of the Snowspeeders the conscripts walked over to the baracks, where beds and showers were waiting for them. As Commander Hesse walked in to inspect & interview them, he found them sorting through their kit, full of questions for the coming training in the ice & snow desert. How much insulation clothing would be needed, what is the weather forecast, where to deposit for not-needed gear during the exercise. Hesse answered their questions, and after the conscripts were done packing the group went to a local food parlour, where they discussed the plans for the coming exercise. Relaxed and full from good food, the group dispersed and retired to their beds, mentally prepared for what lay ahead. The next day the sun rose in the East, bathing Hoth in a warm glow. Last supplies were gathered by the group, before they and Commander Hesse boarded a transport ship which brought them to the outpost of Ruovesi. The weather was changing, from sunny to snowing and cloudy, but by the time the group disembarked from the transport ship the sun was dominating the sky. The five saddled their backpacks, with skis and snowshoes attached, and set out towards the end of the village. Ruovesi being a small outpost, the group soon walked on the prepared skiing track leading into the wild, and Commander Hesse put on his skis while conscript Fliegengewicht got his UL Pulka out and ready. While the Commander skied ahead of the group, the four conscripts made good speed on the well frozen path, and the first few kilometers were quickly behind our group. The plan included following the skiing track for a while, until crossing over to a road and walk till the beginning of the training area. The conscripts put on their snowshoes to cross a field; without they sunk in until their thighs, with snowshoes only ankle to knee-deep. 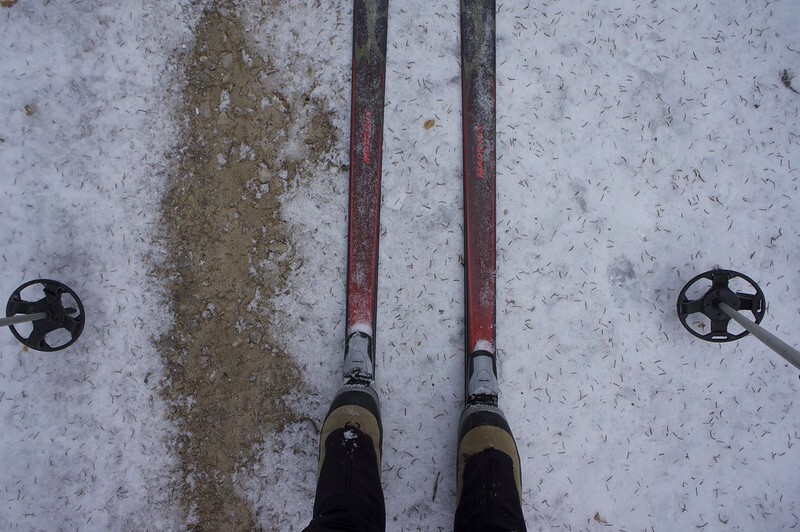 Hesse sped over the field, before taking his skis off and leading the way along the road till the training area was reached. 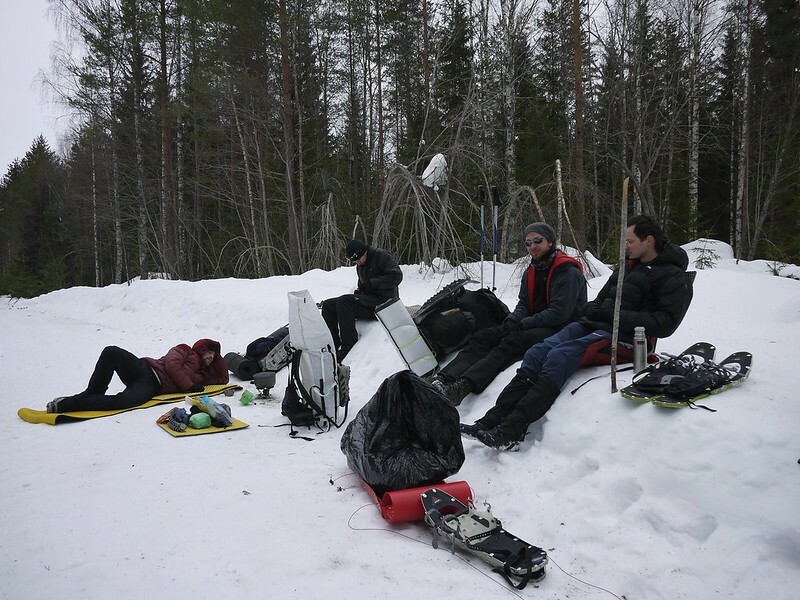 A first small break was enjoyed, food and water was shared, before the group entered the forest and climbed up the ridge. While Hesse was leading on the open fields and forest, climbing the steep ridges with his skis was suboptimal and he fell behind the conscripts with their snowshoes, easily traversing the terrain. Once again down on the other side of the ridge however, Hesse was again leading the pack. With skeptical looks the conscripts observed how the Commander skied onto the lake, reassuring them that it was safe. 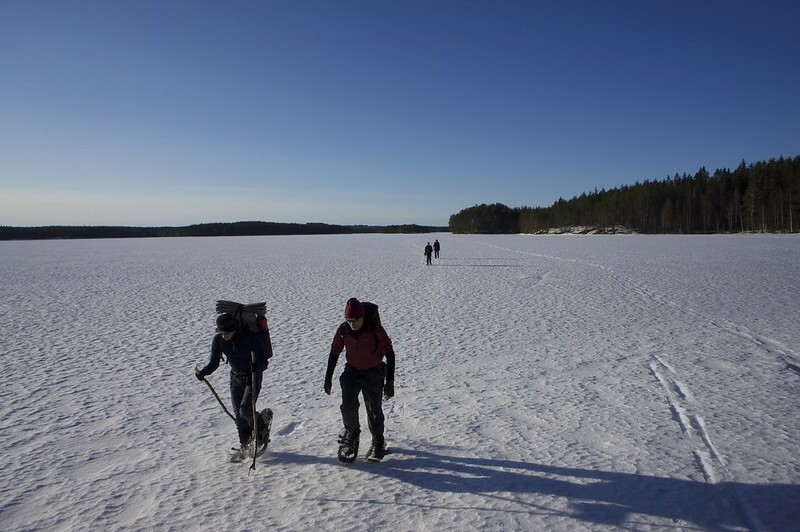 Carefully, close to the shore, the conscripts set foot on the ice, thankful that it carried well and offering a vastly superior walking experience to the deep snow in the forests. Strong winds opposed our little group, with wind speeds of over 15 m/s howling over the smooth, frozen lakes, transforming the mild temperatures of -2°C into body-numbing -22°C. Every possibility for a sheltered advance were taken, and breaks to snack and drink, to keep the energy up, kept the mood of the group high. So the two lakes were traversed without incidents and good speed was made, and the benefits of light gear became apparent. At the end of the lakes, the group followed a small stream to the higher up lake, where camp should be made. The low sun was making the shadows on Hoth long, and the temperature fell a little, though it was felt by our group, which by now started to get tired. This tiredness became apparent when two of the conscripts broke through the ice on the river, and got wet feet. Thus our group increased the speed, despite tiredness, and soon came to the end of the small stream, where they found open water flanked by cliffs on both sides blocking their advance. The conscripts had again an advantage in climbing up the steep ridge, while Commander Hesse took off his skis and climbed, knee-deep in the snow, the ridge up. Up on top, the sun had set in the west by now, basking the lakes and forests in a warm, orange glow while from east a deep blue crept over the horizon. How to proceed: Camp on top of this hill, or advance further down to the lake and the cooking shelter not far from here? 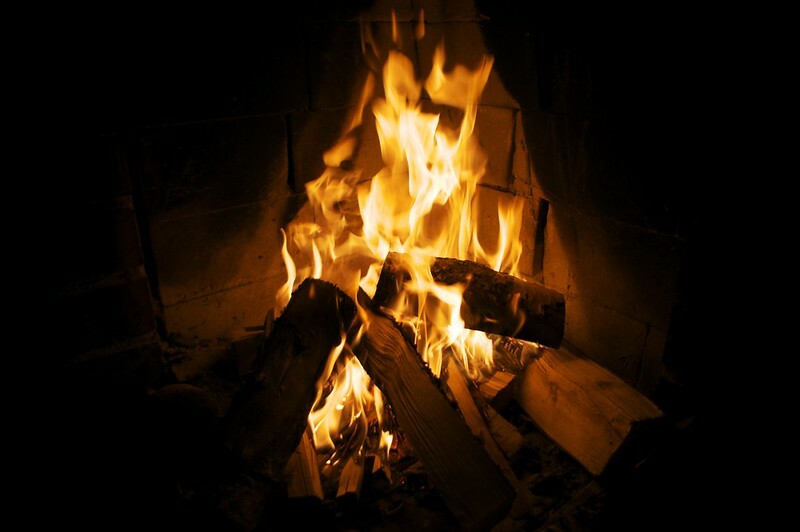 The possibilities were discussed, and the shelter and fireplace swayed the group to press onward. After the descent the group followed the forest road to the cooking shelter, which was only a short walk away. Quickly fires were started, a Shangria-La 4 was used to close down one of the open sides, and sleeping places were claimed. 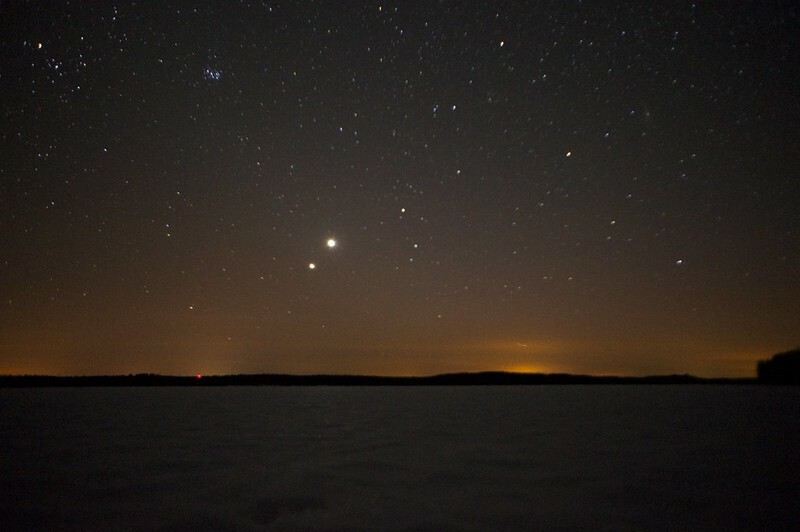 After food and warm drinks were consumed, our little group stood under the starry sky, admiring Venus, Jupiter and the Milky Way, while faint Nordic Lights danced through the sky. The next morning the sun returned in the east of Hoth, bathing it in its warm, bright light. Stoves were lit, and snow for the day ahead was melted, while quilts were hung up to air and packs made ready. 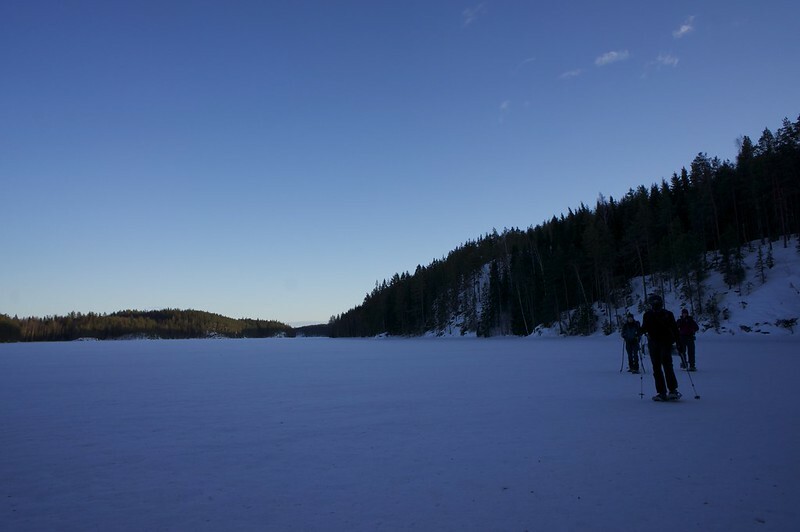 The shadows of the forests became shorter as the sun rose over the lakes, and at the tenth hour of the day, after a small warm-up, our group left the cooking shelter and headed further north over the ice of the lake. They followed the tracks of a wolf, who traveled along the shore, while lynx and hare tracks crossed the lake. 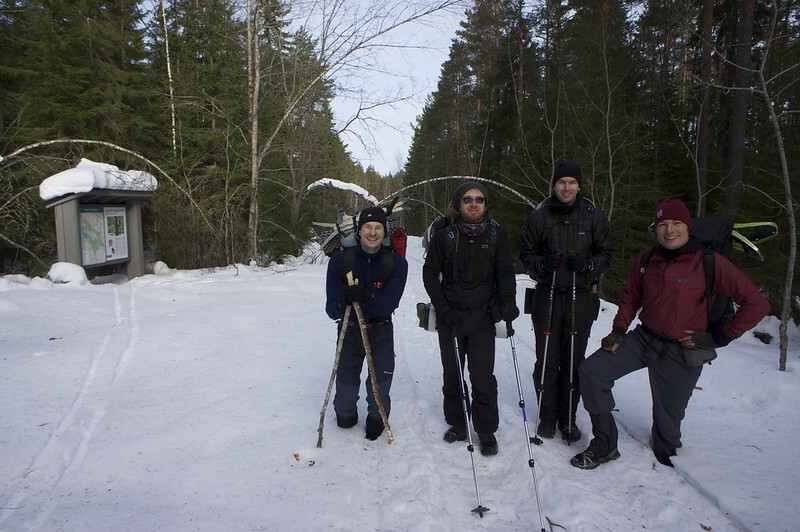 It didn't take our group long to reach another camping site, and a decision to ski and walk to a nearby road was made. Passing by a farm, the group was surprised to see two Ostriches and a party of Wild Boars, animals not native to Hoth. They continued their walk down towards where a narrow path went off into the forest again, and weren't stopped by fallen trees in their way. 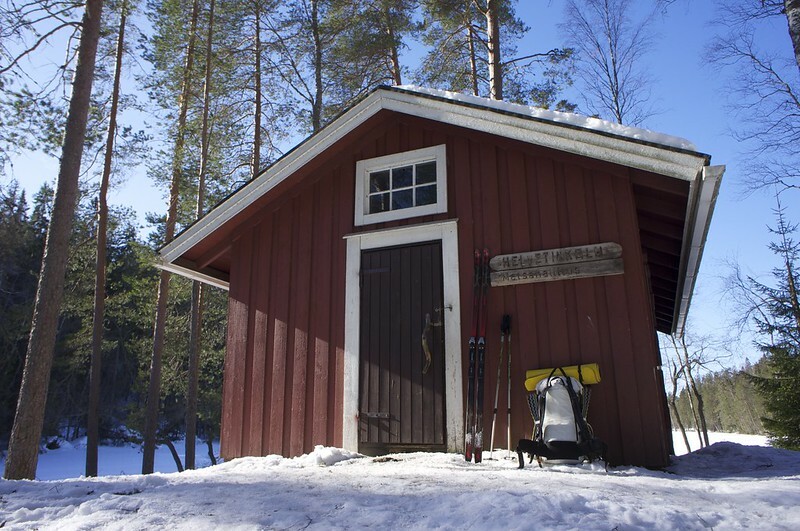 The sun continued to shine down on them, and by the time they arrived at the hut of Helvetinkolu, they were able to enjoy the warmth in only their baselayers outside. Inside discussions were held about how to proceed: Stay at this wonderful hut for the night and explore the surroundings, or move on towards a fine camping spot a half days travel from here. Looking at the distance to be covered in total, the group broke camp in the early noon, to traverse by map and compass the terrain between the hut and the lake, at whose shore their camping spot lay. 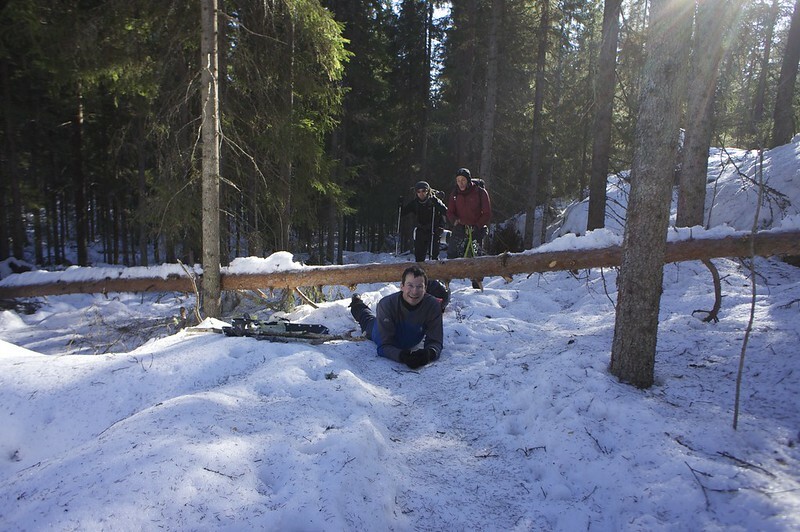 Our group skied and snowshoed through forests, crossed swamps and climbed further steep ridges, and showed immense team spirit during the day. So was Commander Hesse skiing first over the swamp, encouraging the conscripts onwards, despite their sinking in to the knees in the snow; while the conscripts helped Hesse carry his skis when they climbed the ridges, in which Hesse sank in to his knees and further. Only because of this team work the group arrived after mere hours at the shore of the lake, which would take them to their camping spot. 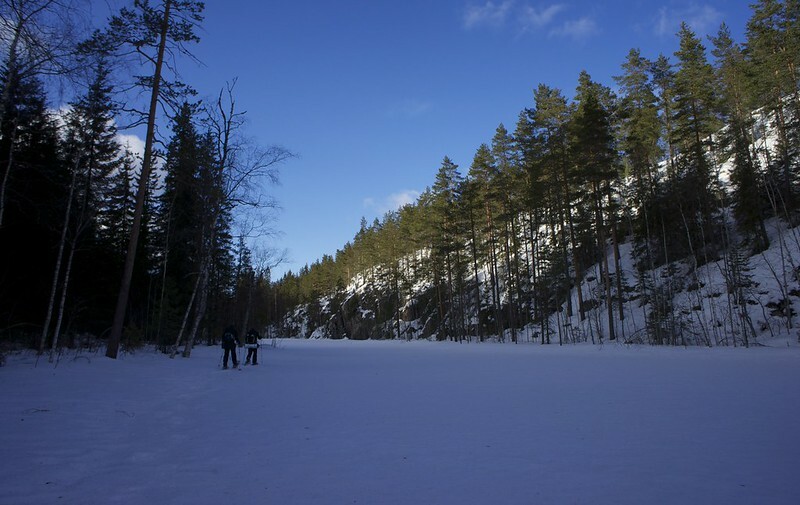 They pressed onwards, still under the warm glow of the sun, the light reflecting from the ice and snow on the lake, and reached in the early afternoon the camping spot. Again they decided to sleep in the cooking shelter, though Hesse insisted on them pitching their shelters on the lake for practice. 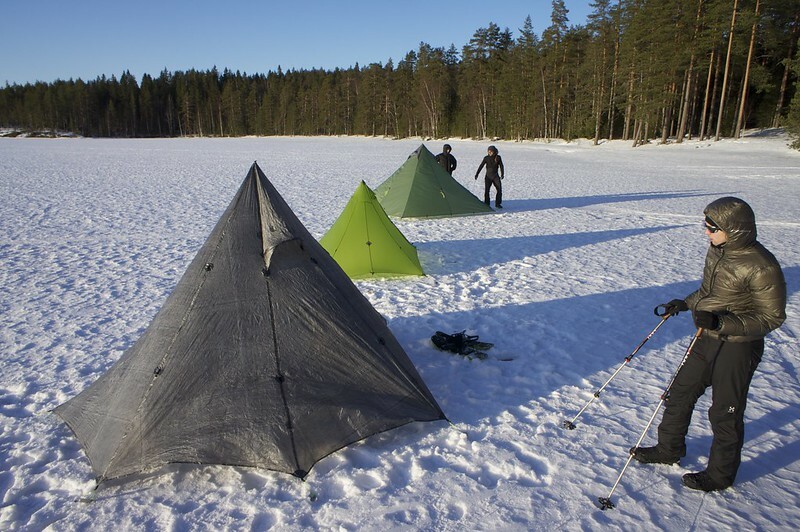 And so three lightweight shelters sprung up on the ice, and the group inspected the different shelters: A LAUFBURSCHE Laavu, a LOCUS GEAR Khufu Sil and an GoLite Shangria-La 4. 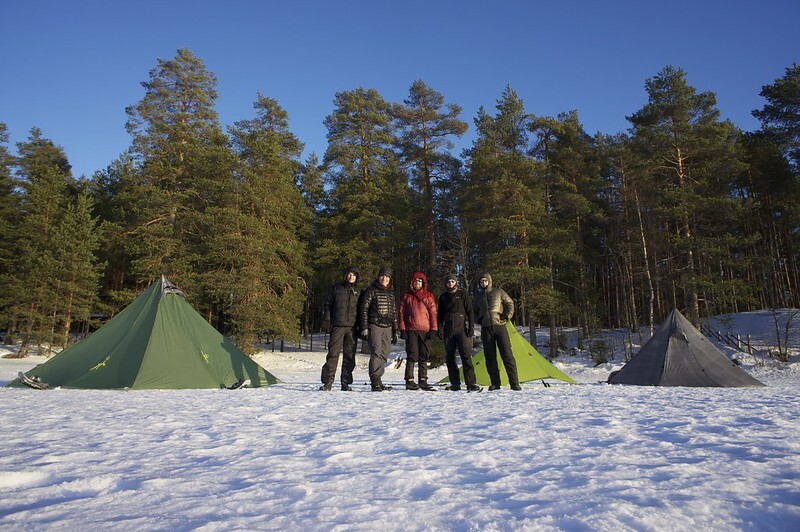 As quickly as they were pitched they disappeared again in their stuff sacks, and the group started to melt snow and prepare for the night. Laughter and conversation started to erupt from the cooking shelter, while tasty meals were prepared and consumed and small bottles of fine beverages were passed around. As night fell, the sounds of owls sounded through the forest, and the greatness and magnificence of our galaxy, suspend over our heads, so clearly to be seen while standing on the lake, was evident. Somewhere out there, heavyweight backpackers under the the command of Darth Heavy planned for the destruction of lightweight. Little do they know that we are prepared, and that the force is strong in us. At dawn Commander Hesse awoke, skinning himself out of his quilt and bivy to enjoy the fresh, cold morning air down on the lake. The sun was illuminating the trees on the opposite shore, while male Black Grouse were on the ice, their songs being heard far and wide. 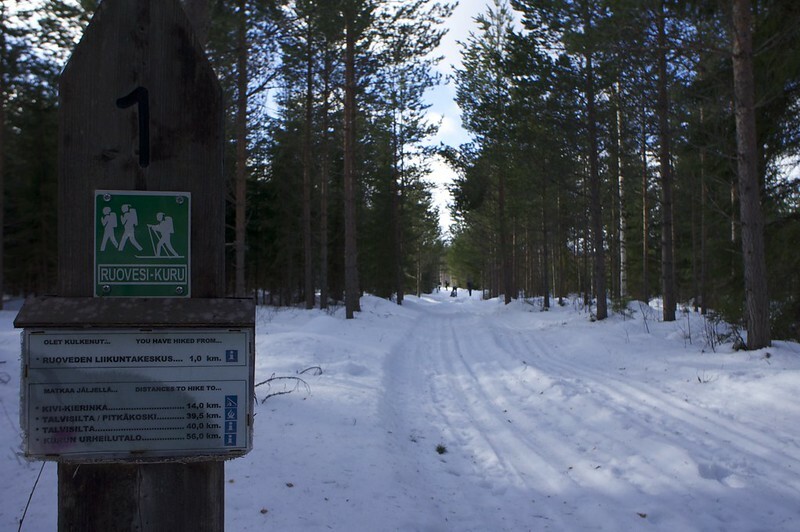 Today the group would train to navigate the forest roads to reach their destination of the night, a Laavu south of their current position. One of the conscripts joined Hesse on the lake, and when they walked back up to the shelter the others were already busy making breakfast and packing. 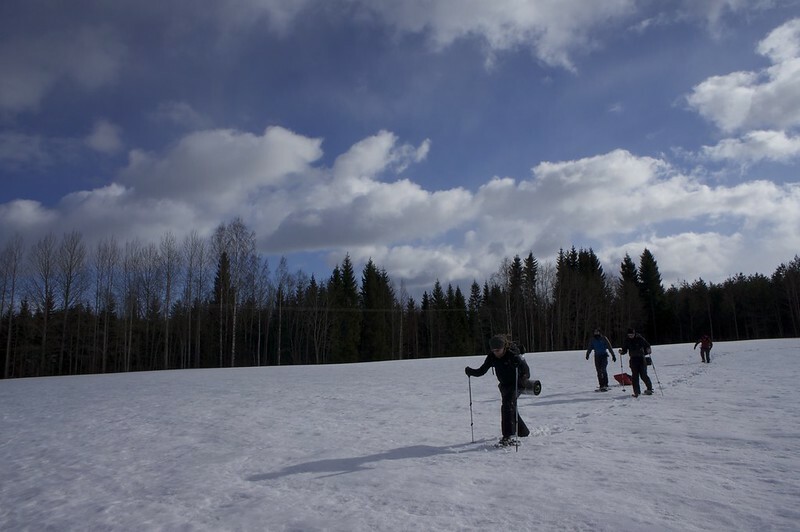 The conscripts, in light of the terrain to be travelled across, opted to strap their snowshoes to their packs, while Commander Hesse preferred to ski on the ice and little snow of the forest roads. While this gave him a slight benefit in terms of speed, it was more a decision to not needing to carry the unwieldy skis and boots on his pack. The group made good speed on the forest roads, as lunchtime approached quickly. Here some differences became apparent: while the conscripts preferred to rely for energy on snacks throughout the day, Hesse liked a warm lunch in the cold weather, including melting snow for a warm cup of tea. So lunch breaks were a relaxed moment of interruption, to stretch muscles and talk. Once everyone was fed and ready, the group continued their journey south. 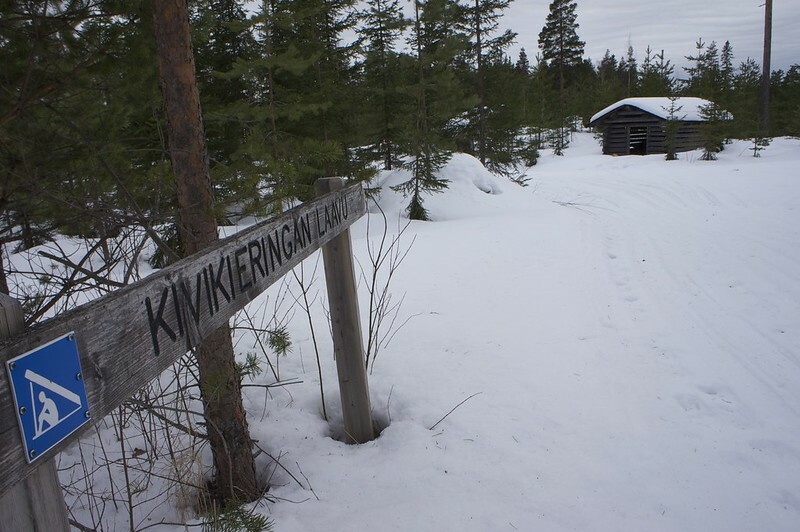 After a while they left the well maintained forest roads and continued on the track of a snowmobil through the forest, passing by summer houses and hunting towers until they came upon the Pirkan-Taival trail, running from the Ruovesi Outpost to the Kuru Outpost. 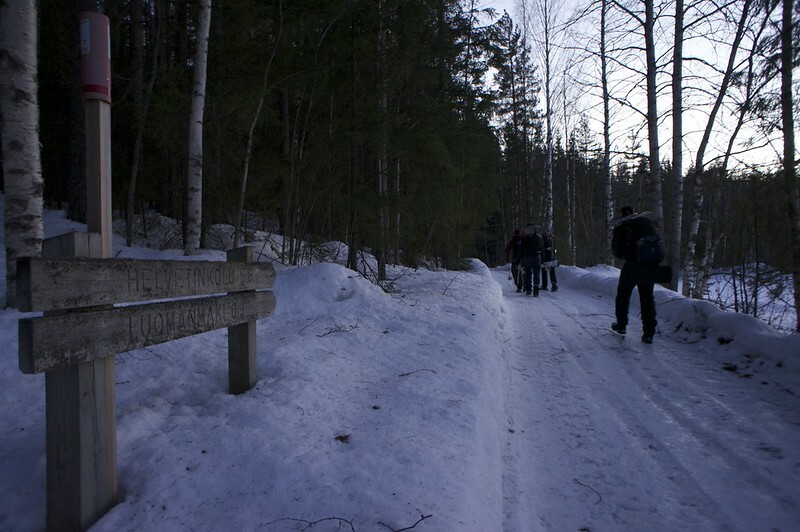 Along this trail lay their goal, the Kivikieringan Laavu, perched atop a small cliff, overlooking a tiny valley and the forest. 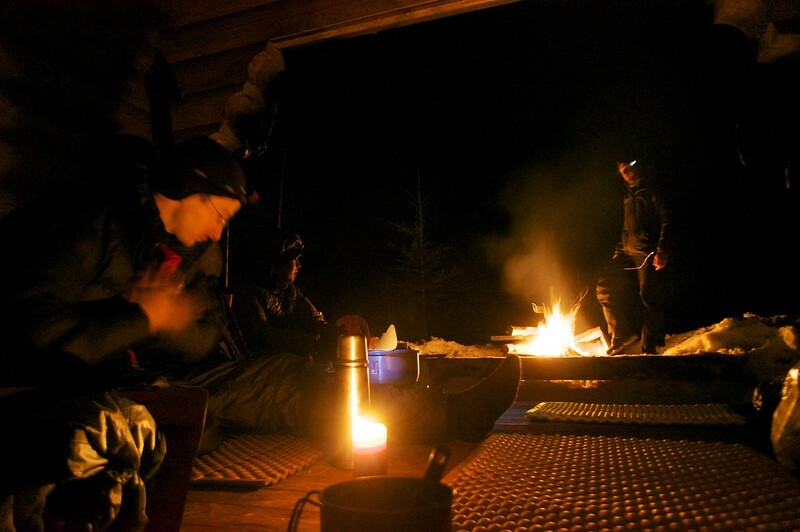 The group split apart, with everyone walking and skiing at their own speed, and so Hesse and conscript Fliegengewicht were the first ones to arrive at the lean-to shelter. Conscript Fliegengewicht quickly gathered wood and started to split it for his fine wood stove, while slowly the rest of the group arrived. 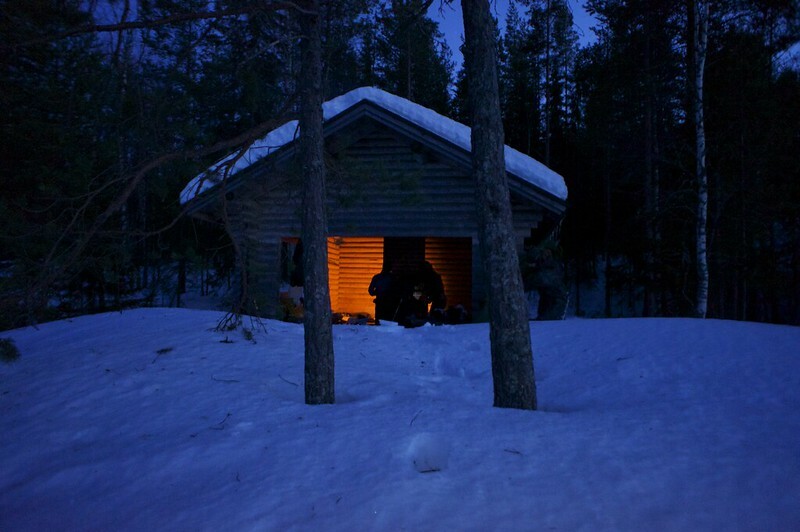 Sleeping places in the laavu were claimed, wood for the group fire carried from the wood shed, trails to the other buildings were established in the snow, and the benches around the hut were dug out. While it was still early, the blue sky had given way to a grey overcast heaven, with mist hanging in the air. So the group huddled around the fire, napped in their quilts and ate, until it was time to lay down for the night. On the morning of the fourth day of the exercise, Hesse would leave the group to return to the HQ, and to see if the group, now equipped with the skills and knowledge to navigate & survive in the environment of Hoth, would be ready for the war. 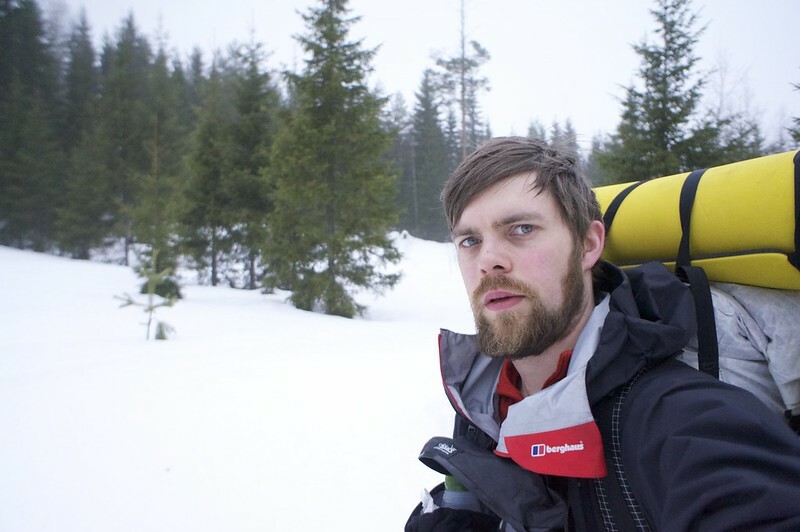 Snow for the day ahead was melted, while sleeping gear disappeared in backpacks, and coffee & müslis were consumed. At nine in the morning, with heavy mist in the air, under a grey sky, Commander Hesse gave final instructions to the conscripts, and told them that he expects to seem them the next evening back at HQ. So the group parted ways - Hesse skied back to the Ruovesi Outpost, while the conscripts snowshoed onwards to the Outpost of Kuru. 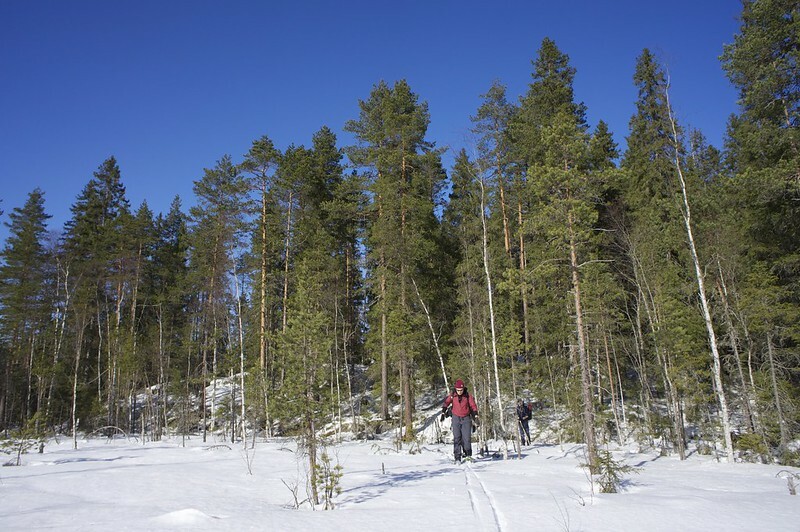 Commander Hesse skied like the wind, and after just 180 minutes entered the Outpost, 15 km from where he left the laavu in the morning. The personnel there was clearly surprised to see him so early, and needed some time to organize a transport ship for him back to Tampere. So he whiled away the time in the outpost, checking via satcom with the conscripts what the situation was like, and consumed coffee and cake till the transport ship finally landed. While he boarded the ship, he thought back with a smile to the past days, and that the force will be with the Ultralighters in the coming war. More Photos | Thoughts on Gear | My thanks go out to Basti, Dennis, Hofnarr & Fliegengewicht for coming to Finland, and the Ultraleicht-Trekking.de Forum Community for being awesome!